I did a bit of a search, and I was shocked to find that there's nothing like this for Z-wave or Insteon. 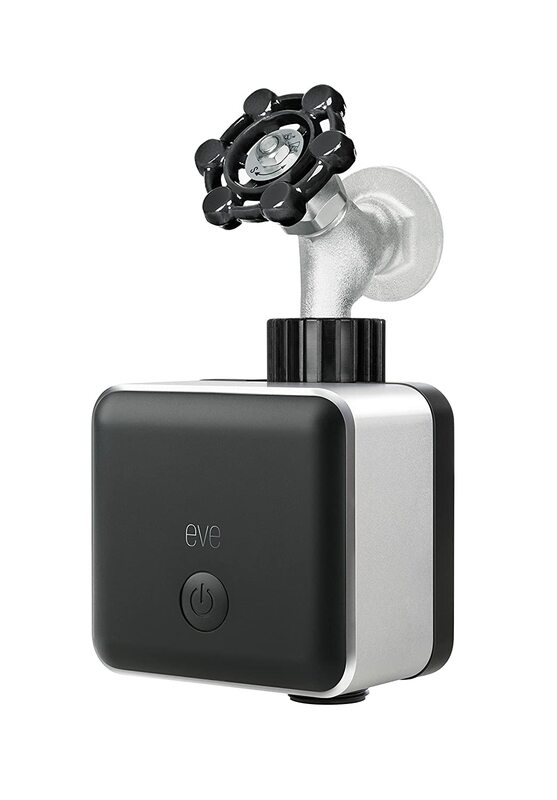 Eve Aqua HomeKit compatible garden hose valve. Or am I just not searching by the right thing? I know there are all sorts of z-wave valve shutoffs, but if the wacky guy who built your home used standard turn spigots instead of 90° lever valves, you're out of luck like I am. I made my own! An irrigation solenoid valve can be attached directly to the spigot. A small weatherproof box (it’s outside) contains a 240V/24V transformer (I’m in Oz) and a ZWave relay module. I have these ranging from a single valve up to a “battery” of three. Mostly used for sprinklers, but could be adapted s a mains shutoff using a more industrial style solenoid valve. In that case you could use a mains voltage solenoid and omit the transformer! The only possible downside is that the solenoids are energised all the time. I’m sure there’ll be latching solenoids that function similarly to the ball valve - but they won’t work under mains failure conditions! Not quite as neat as the photo, but just as effective (and possibly more economical). Let me now if you want more details and I can send some photos. There’s a z-wave mouse trap? I NEED THAT!